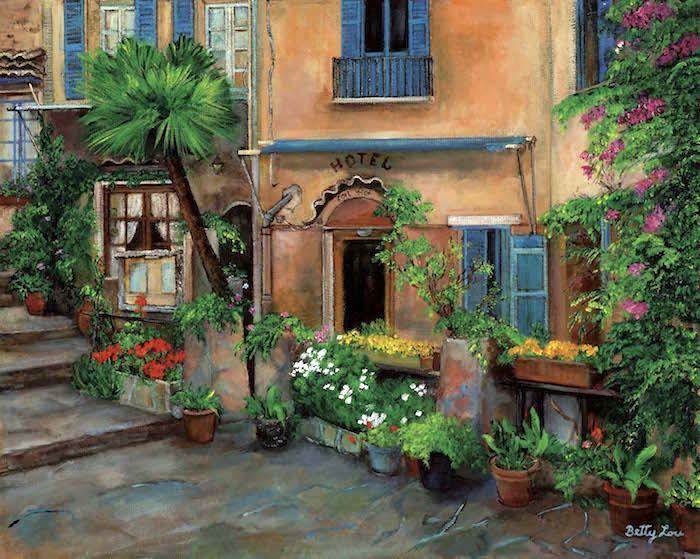 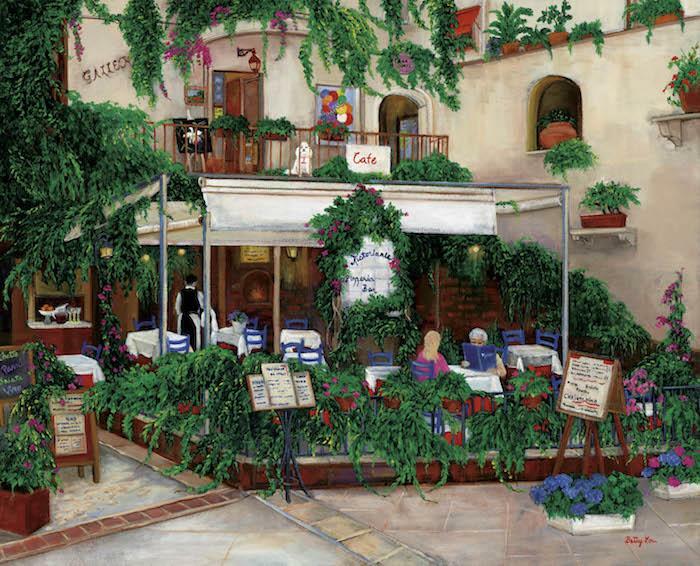 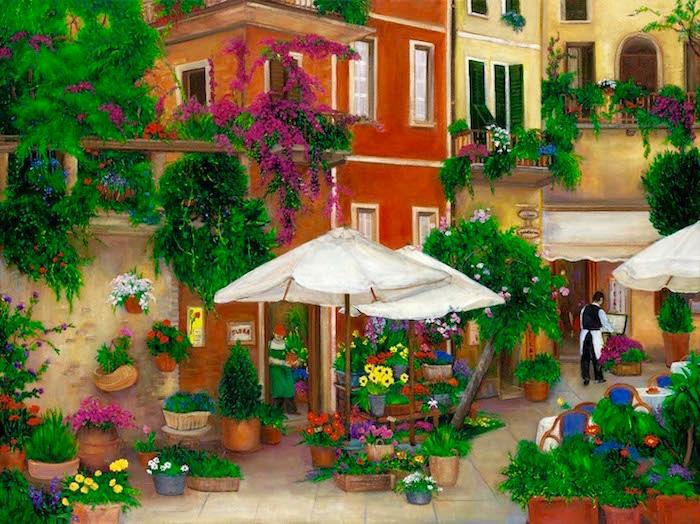 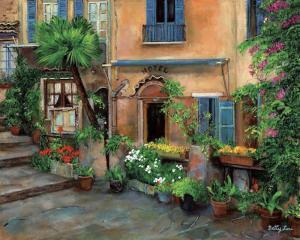 Painting of A cafe in Italy. 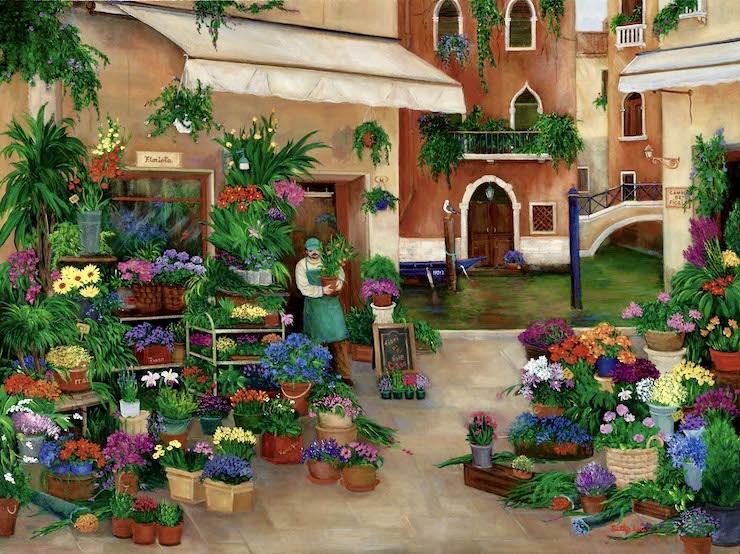 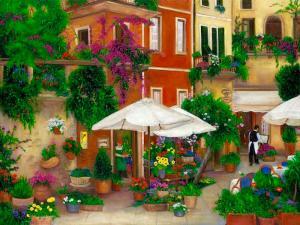 Painting of Flower Shops by a Canal in Venice Italy. 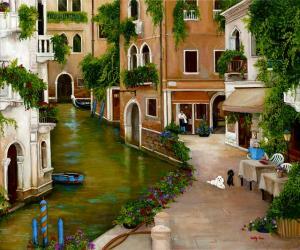 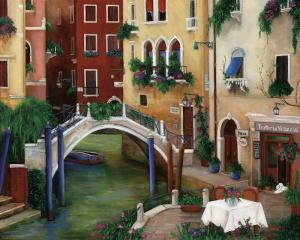 Painting of a Trattoria by a Canal in Venice Italy. 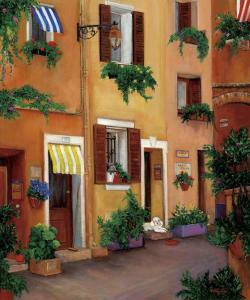 Painting of a Street in Cinque Terre Italy. Painting of a Street in Burano Venice Italy. 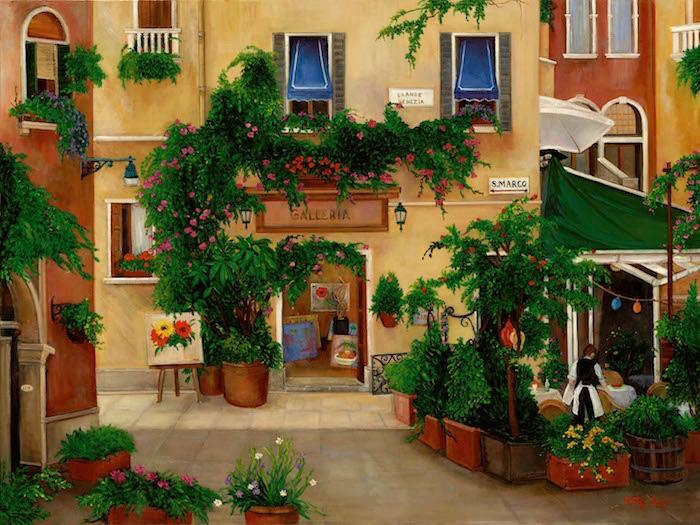 Painting of an Art gallery and Cafe in Venice Italy. 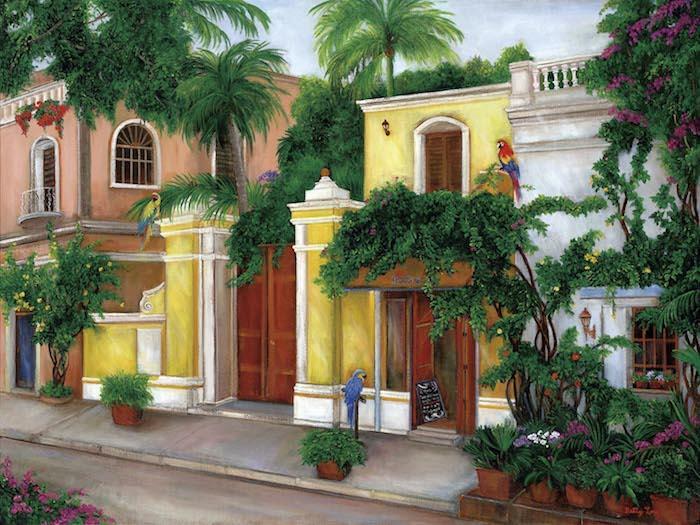 Painting of South American Street Scene with Parrots. 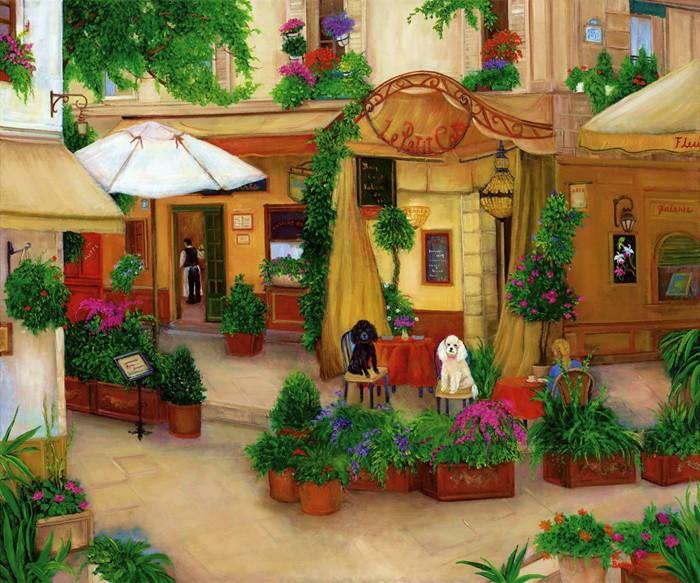 Painting of Paris with two Dogs enjoying a Outdoor Cafe. Painting of Venice with Two Dogs enjoying a day by the Canal.